Six today: Hanging on to their trouser hem…. My little bean is getting bigger…. Today my little boy is six. I can’t really believe it, so much has happened to him in his short life. He is packing as much in to those six years as we and he can manage. And as long as it involves bouncing, he seems to be happy with it. His sister is eight in October too. I gave up work so as I could watch him and his sister grow up, and that’s just what they are doing all too fast. I hope we are helping them to do it well, and that he’ll become a kind, considerate teenager (erm…) and then a loving young man. But for now, I am clinging on to the bottom of those trousers to try desperately to stop him getting too big, because then, well…who will bounce on our trampoline with him gone? 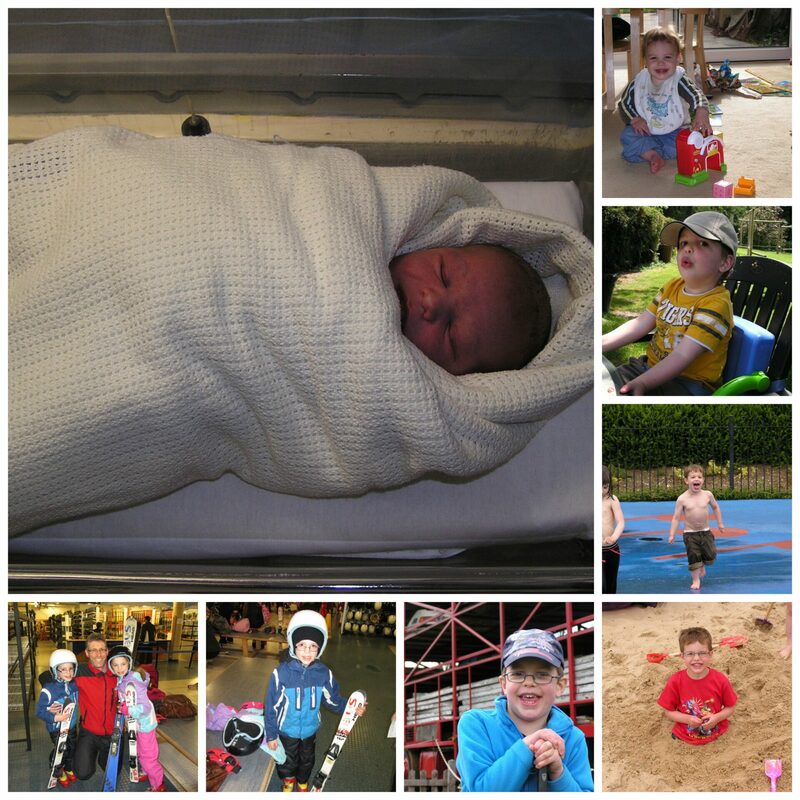 My gorgeous boy through the years; at birth then every year since from 1-6 when we went for much fun on a ski slope! I know – its so scarey – and I so don’t want it to keep going! Aw so cute. I remember thinking that 6 was such a milestone when my little boy reached that age too. Hang on for dear life I say!